Robert Dickman holds a mirror to leaders and creatives who have the courage to look at themselves more closely and endeavor to sharpen their storytelling skills. Story drives influence, which impact change, culture, pitches, team dynamics, professional brands and career transitions. 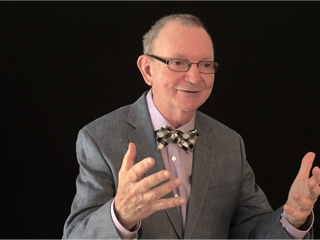 Bob has led the sought after seminar “Story as Leadership, Story as Strategy,” throughout the US with clients ranging from Fortune 500s to rapidly expanding small businesses. Dickman has also collaborated with and developed workshops for the senior management teams of companies such as The New York Times, Banana Republic, The Naval Postgraduate School, and The California Academy of Science, among others. Robert is totally passionate about both the entertainment industry, as well as helping professionals find their voice. Leadership Development, Story Discovery, Career Transitions, Pitch Coaching, and Brand Narratives.